Tao Digital will be exhibiting at Marketing Show North this year. With this in mind it becomes fairly obvious that SEO would help a business in a number of ways. SEO is the perfect accompaniment to a branding campaign. The sheer volume of searches made on the internet each day, 40,000 searches per second according to Internet Live Stats, means that no matter what product or service you offer, someone will be searching for it. 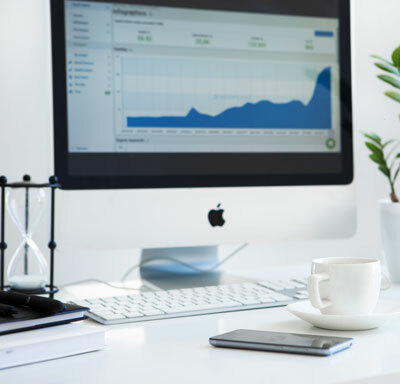 Therefore, being at the top of the search results for the product or service you offer will help your be best placed to take advantage of the intent of the searcher and potentially create a new lead or sale. When we talk about ‘qualified visitors’ to your site we mean they have explicitly searched for something that you have an expertise in and can help them in some way to find the answer to their query. A good SEO campaign will help position you and your site to become an authority on your subject and have your site visible when a searcher types in anything to do with your business. Say you are the owner of a small business and thinking about purchasing a new phone system. The first place you are likely to look is a search engine, 94% of B2B purchasers do some form of research online. The results will show a number of sites designed and written to help understand what phone system is right, potential functions that will be available and what the latest technology is currently on the market. Most people will buy once they have a good level of understanding of the product or service. And a buyer will more than likely by from a company they know, like and trust. By creating the type of content that helps a searcher learn, rather than just selling will help build trust. Quotonga.com do a really good job of trying to help the searcher for hosted phone systems with this ‘guide to the benefits of hosted phone systems’. Have a read and see what we mean. A qualified visitor therefore is someone who is somewhere within the ‘content marketing funnel’ as described by Moz.com. The above example is great for the top of funnel part, but you could easily create content for the middle and bottom of the marketing funnel. It’s fairly simple to understand why, with more search engine traffic you would see more leads or sales coming through your website. If you have a site at the moment that is converting at lets say 3%, with 1,000 visitors per month you would be getting roughly 30 leads or sales. We then add another 1,000 visitors per month through the use of clever SEO, even if the conversion rate of the site dropped to 2.5% you would be gaining 50 leads rather than the 30 you were previously. This doesn’t factor in any competitors who might engage in an ongoing SEO campaign either. Done right they will end up taking your traffic if you’re just standing still. How has SEO helped small businesses? ‘We’ve enjoyed great success working with Tao Digital Marketing over the past year or so, our organic traffic has more than doubled. We’ve even been able to slow down our paid marketing and still continue to gain a great number of leads for our business.’ Dave Thornton, Founder & Director of Thornton & Lowe. This question is posed by many business owners looking to gain from the masses of search engine traffic. 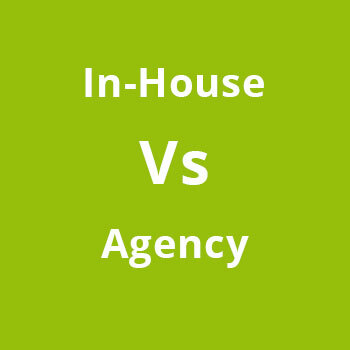 We’re an SEO agency and so we’re probably a little biased in the way of an SEO agency rather than in-house. We do find however that working alongside an in-house marketing team adds real depth to the overall marketing piece. Things can work together and gain more traction. Most business owners are very busy, keeping track of all the updates, changes and requirements of SEO is a very time consuming job. It’s sometimes better to buy into someones knowledge and someone who is keeping up with everything to do with SEO because they need to for other clients. One of the main areas that businesses can fall down when hiring an SEO company is when they have not done enough research. Make sure that the SEO agency you are looking to engage has the knowledge and understanding required. Speak to some of their existing clients to find out how they are getting on with them. Bad SEO can do more damage than good for your website, be careful not to fall into this trap. In summary, SEO is great for any type of business, no matter what industry, size or location. Done right it can drive significant increases in visitors to your website. The key is to make sure that it is done correctly.